Chill Out Hostel Boracay v Boracay Island, Filipíny: Zarezervujte nyní! A brand new place to chill out in Boracay! 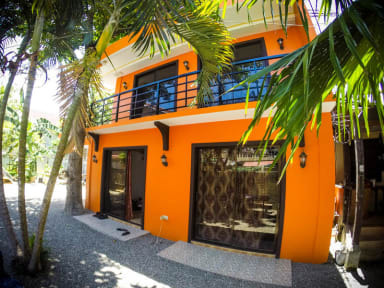 With our young and dynamic atmosphere, Chill Out Hostel is a new haven for budget minded travellers from around the world, who want to enjoy the beauty and fun vibe of the world famous island of Boracay. Known for its 2 famous beaches, the White Beach with picture perfect sunsets and Bolabog Beach, world renowned for wind sports such as kite surfing and wind surfing. 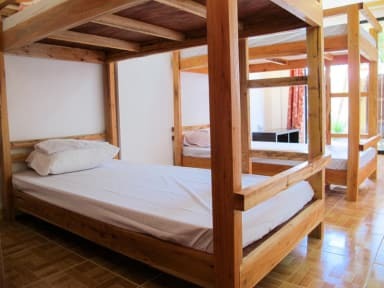 Our mixed aircon/non-aircon dorm rooms have lockers big enough to fit your backpack, en-suite hot & cold showers with free shampoo, shower gel and bath towels, cleanliness at its best. Chill Out Hostel provides affordable food and drinks at our Chill Restobar, free WiFi a lounge area with different activities . Save your time and money by checking our Chill Out info board for things to do in Boracay, getting around, night life and events around the island. At the moment we can only accept cash on arrival, but ATMs are near!